Company | Timeline & History | Port25 Solutions, Inc.
On 19 September, Port25 was joined in Amsterdam by partners, customers and community members from around Europe to take peek into the future of PowerMTA, hear real-world experiences of Port25 customers and share technical updates and tips from our Port25 engineers who built the product and continue to expand its capabilities today. 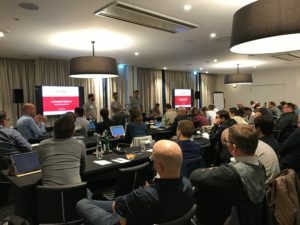 Sessions included a brief history of where we came from and where we’re going from Juan Altmayer, Pizzorno, founder of Port25, and Engineering report and roadmap from Robert Wenner, director of engineering for Port25. Of special interest was a session presenting an overview of the coming GDPR legislation, presented by Thomas Fontvielle, General Secretary of Signal Spam. Along with our special guest speakers we were joined by our partners, Postmastery who presented their view on modeling data , Dmarcian who shared their experiences deploying DMARC as both direct sender and Email Service Provider, and Ongage. 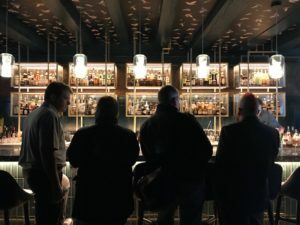 The day was followed by a reception at the Kimpton de Witt Hotel, which included a Mixology contest. Special kudos to our co-winners Mark Ferrari and Lewis Jales-Huggins, both of Adestra, who tied for first place.